On Day 24 of Thirty Days 2017 I could hear fog horns in the distance as I woke up under some overcast skies. As I drove closer to Alameda I started to enter a fog bank which caught my attention so I found a spot to explore the shoreline area. 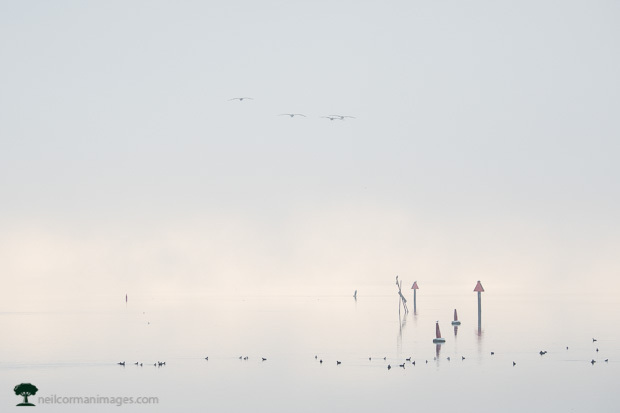 It was a still morning with the birds enjoying the peaceful surroundings just after sunrise.